Exactly like gold and great materials stocks, Silver (and gold) has been range-bound for so long now there is a segment of the physical silver (and gold) stacker community that are taking this opportunity to exit or to sell down and take (very small) profits. This is to be expected and cited commonly as weak hands being shaken off the bull.. a great metaphor! This has the impact of keeping Silver range-bound or trading only temporarily at these levels as more silver enters the market capping the price.. once these weak hands have sold off into strong hands and silver is locked away deep in a vault we will move up to higher levels again.. great opportunity to hold and make really nice profits or increase equity. 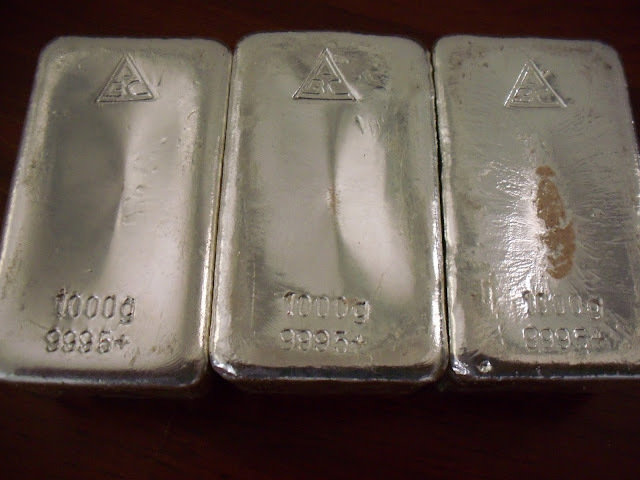 Silver Price - sustained move to the upside in 2016, Will in Continue? Silver has been on the rise during 2016 and given last year a similar trend played out before capitulating many are taking this opportunity to sell down as there is always a chance this will again be the case and taking profit is a favourable in a market where many commodities near the bottom of a 10 year price spectrum. For those accumulating at the moment.. bargains abound as physical silver is plentiful for the time being and you will be unlikely to secure silver so close to spot in the future as people will be increasingly reluctant to part with there best performing asset, also as news of Silver potent recovery spreads market participation will increase with additional demand only increasing silvers price - As the great Peter Schiff says.. "Don't Look a Gift Horse in the Mouth"
The Silver to Gold ratio is trading near its all time high (currently 80 Ounces of Silver for 1 Ounce of Gold) so i would expect Silver to reverse and starting reducing the ration back towards 20:1 - We will likely see a retest of $50 US before this bull run plays out.